Johnny Scott pulled away from the field Saturday night at the Devils Lake Speedway and in the national championship standings of the USMTS Hunt for the Casey’s Cup powered by Summit. After taking the lead from Dustin Strand with three laps in the books, Scott waded through four caution flags during the first 11 laps and then ran away and hid from his chasers over the final 29 laps to score his sixth victory of the season and 37th of his USMTS career. Including his Rancho Milagro bonus money, Scott pocketed $3,475 for his efforts in the inaugural event at the 1/3-mile semi-banked clay oval in Crary, N.D., and the 28-year-old Las Cruces, N.M., native now living in Cameron, Mo., has padded his points lead over Jake O’Neil to more than 100. Scott’s twin brother Stormy Scott climbed from seventh on the starting grid to claim the runner-up paycheck while Strand held on for a third-place finish—his best USMTS showing. Lap 2 of the main event saw a multi-car pileup that collected title contenders Terry Phillips and Rodney Sanders. Phillips was sidelined for the rest of the contest while Sanders rejoined the race at the back of the pack. Ryan Gustin took the fourth spot at the checkered flags. Zack VanderBeek finished fifth after starting 19th and Sanders rebounded to get to sixth place at the finish line. Dereck Ramirez, Lucas Schott, Travis Saurer and Tyler Peterson rounded out the top 10. Johnny Scott also won Thursday’s show at the Nobles County Speedway in Worthington, Minn., and only a second-place finish after starting 17th on Friday night at the Brown County Speedway in Aberdeen, S.D., kept him from a clean sweep of the weekend. With 22 of 40 events completed the USMTS Hunt for the Casey’s Cup points shows Johnny Scott leading O’Neil by 123 markers (1,944 to 1,821) while Sanders is another 41 points back in third. VanderBeek sits fourth with 1,778 points, followed by Stormy Scott (1,768), Ramirez (1,699), Schott (1,684), Phillips (1,678), Adam Kates (1,202) and Joe Duvall (1,158) in the top 10. The stars and cars of the United States Modified Touring Series will be on summer vacation for the next 16 days before returning to action on Tuesday, July 17, for the 12th Annual Hamilton County Hullabaloo presented by Casey's General Stores at the Hamilton County Speedway in Webster City, Iowa. 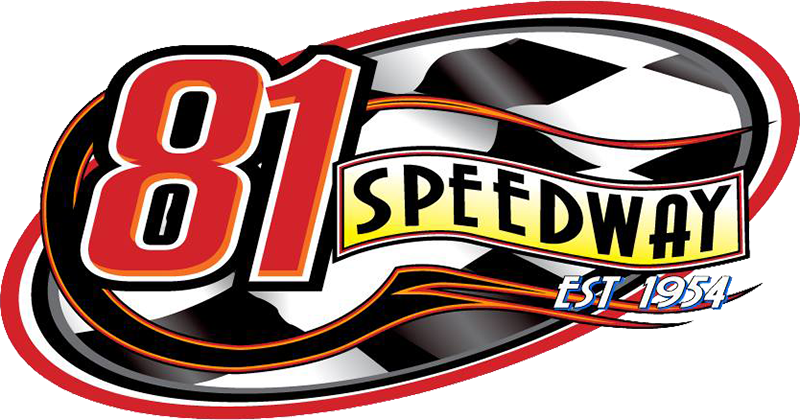 Then on Wednesday, July 18, the series returns to the Southern Iowa Speedway in Oskaloosa, Iowa, for the 11th Annual USMTS Summer Classic. The final event during the month of July will take place Friday and Saturday, July 20-21, for the 8th Annual Silver Dollar Nationals at the I-80 Speedway in Greenwood, Neb. Devils Lake Speedway, Crary, N.D.
2. (5) 1st Johnny Scott, Cameron, Mo. 3. (1) 21x Travis Saurer, Elizabeth, Minn.
4. (8) 5k Kyle Prauner (R), Norfolk, Neb. 5. (2) 77r Ryan Schroeder, Devil's Lake, N.D.
6. (4) 19sb Lance Mari (R), Imperial, Calif.
7. (7) 36 Ryan Cousins, Morden, Man., Canada. 8. (6) 75 Terry Phillips, Springfield, Mo. 2. (1) 71s Dustin Strand, Grand Forks, N.D.
3. (2) 1tpo Tyler Peterson, Hickson, N.D.
4. (3) 20 Rodney Sanders, Worthington, Minn.
5. (5) 17 Lance Schill, Langdon, N.D.
6. (7) 22m Davey Mills, Bemidji, Minn.
7. (8) 33z Zack VanderBeek, New Sharon, Iowa. 8. (6) 27 Chris Unrau, Winkler, Man., Canada. 4. (4) 5g Scott Greer, East St. Paul, Man., Canada. 6. (2) 7 Danny Staff, East St. Paul, Man., Canada. 1. (5) 1st Johnny Scott, Cameron, Mo., VanderBuilt/Durham, 40, $3475. 2. (7) 2s Stormy Scott, Las Cruces, N.M., VanderBuilt/Mullins, 40, $2150. 3. (2) 71s Dustin Strand, Grand Forks, N.D., Millenium/Adams, 40, $1000. 4. (4) 19r Ryan Gustin, Marshalltown, Iowa, Hughes/TriStar, 40, $1000. 5. (19) 33z Zack VanderBeek, New Sharon, Iowa, VanderBuilt/Sput’s, 40, $1225. 6. (11) 20 Rodney Sanders, Worthington, Minn., MBCustoms/Hatfield, 40, $1120. 7. (3) 4r Dereck Ramirez, Woodward, Okla., Hughes/Cornett, 40, $1015. 8. (8) 69 Lucas Schott, Chatfield, Minn., MBCustoms/Hill, 40, $910. 9. (9) 21x Travis Saurer, Elizabeth, Minn., MBCustoms/Dakota, 39, $450. 10. (10) 1tpo Tyler Peterson, Hickson, N.D., BlackWidow/ProPower, 39, $400. 11. (6) 0 Jake O'Neil (R), Tucson, Ariz., LG2/Cornett, 39, $780. 12. (12) 5g Scott Greer, East St. Paul, Man., Canada, MBCustoms/Millar, 39, $300. 13. (15) 23 Adam Kates, Tonganoxie, Kan., LG2/Speedway, 39, $725. 14. (13) 77r Ryan Schroeder, Devils Lake, N.D., MasterSbilt/Dakota, 39, $250. 15. (20) 36 Ryan Cousins, Morden, Man., Canada, MBCustoms/Millar, 39, $250. 16. (21) 8c Chris Clark, Jackson, Wyo., GRT/PerfAuto, 38, $300. 17. (1) 5k Kyle Prauner (R), Norfolk, Neb., Razor/ChevPerf, 35, $300. 18. (17) 19sb Lance Mari (R), Imperial, Calif., MRT/Yeoman, 28, $300. 19. (23) 27 Chris Unrau, Winkler, Man., Canada, GRT/Millar, 12, $250. 20. (22) 75 Terry Phillips, Springfield, Mo., GRT/Durham, 2, $695. 21. (16) 22m Davey Mills, Bemidji, Minn., Millenium/Adams, 2, $250. 22. (18) 7 Danny Staff, East Saint Paul, Man., Canada, /, 2, $250. 23. (14) 17 Lance Schill, Langdon, N.D., MBCustoms/Tim’s, 2, $250. Lap Leaders: Strand 1-3, J. Scott 4-40. Total Laps Led: J. Scott 37, Strand 3. Margin of Victory: 2.726 seconds. Time of Race: 22 minutes, 57.089 seconds (4 cautions). Eibach Spring Forward Award: VanderBeek (advanced 15 positions). FK Rod Ends Hard Charger: VanderBeek (started 19th, finished 5th). Next Race: Tuesday, July 17, Hamilton County Speedway, Webster City, Iowa. USMTS Hunt for the Casey’s Cup Points: J. Scott 1944, O'Neil 1821, Sanders 1780, VanderBeek 1778, S. Scott 1768, Ramirez 1699, Schott 1684, Phillips 1678, Kates 1202, Joe Duvall 1158. Grant Junghans USMTS Rookie of the Year Points: O'Neil 1821, Carlos Ahumada Jr. 760, Mari 721, Zane Ferrell 692, Billy Vogel 610. USMTS Engine Builder of the Year Points: Durham 203, Sput’s 175, Cornett 157, Mullins 152, Hatfield 141. USMTS Manufacturers Championship Points: VanderBuilt 228, MBCustoms 217, GRT 160, Hughes 160, LG2 154. Beyea Custom Headers – Sanders. Casey’s General Stores – Peterson. E3 Spark Plugs – Strand. Forty9 Designs – Schroeder, Unrau. GRT Race Cars – Unrau. Integra Shocks & Springs – Mari. Jerovetz Motorsports Racing Parts – Cousins. KSE Racing Products – Prauner. Real Racing Wheels – Schill. Swift Springs – J. Scott, Strand.